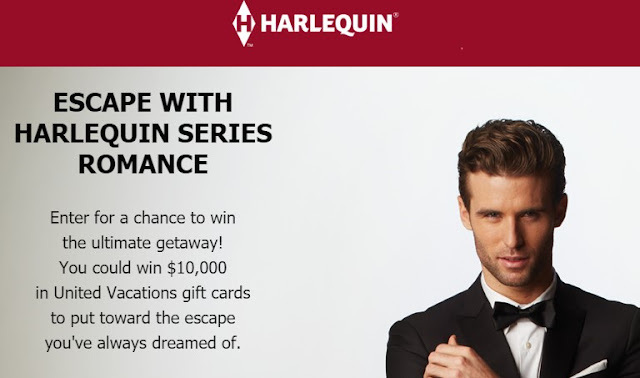 Harlequin Series Romance is giving away $10,000 in United Vacations gift cards to put toward the romantic escape you've always dreamed of. One (1) grand prize will be awarded consisting of Ten Thousand dollars ($10,000.00 USD) in United Vacations gift cards (the “Prize”). The approximate retail value of the prize is Ten Thousand dollars ($10,000.00 USD). This Sweepstakes ends on 11/15/16 and you can ENTER ONCE to win.